Samford University President Andrew Westmoreland was elected president of the American Association of Presidents of Independent Colleges and Universities (AAPICU) for 2015-16 at the annual meeting in Scottsdale, Arizona. Westmoreland succeeds Kim Clark, president of Brigham Young University--Idaho. AAPICU was established in 1968 as a voice for independent education in Washington, D.C. Resolutions debated at annual meetings include charitable deductions, affirmative action, government regulation of amateur athletics, the energy crisis, tax exemption, student aid and Title IX. The annual meeting includes the Thomas E. Corts Memorial Roundtable, which addresses questions and concerns raised by the Panel of Legal Experts in an earlier meeting of the annual conference. The late president of Samford University, who joined AAPICU when he first became a college president in the early 1980s, placed high value on the informal idea swapping at annual meetings. "I never leave a meeting without two or three ideas that have actually worked for respected presidential colleagues," he said. Corts served as president of the association from 1993-95 and introduced Westmoreland to the group in 1998 when he became president of Ouachita Baptist University in Arkansas. 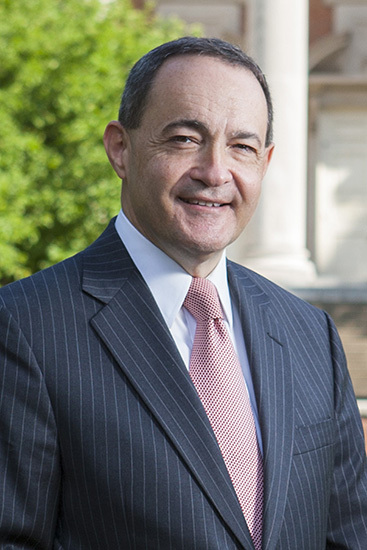 Westmoreland has been Samford's president since 2006. Westmoreland also is in his second term as chair of the board of trustees for the Southern Association of Colleges and Schools Commission on Colleges, the regional accrediting body.